The Assassin’s Creed series has a distinct formula, which is mostly evident in how the open world functions. Assassin’s Creed Brotherhood debuted many of the franchise’s tried and true elements, with its Borgia towers and trailing missions. 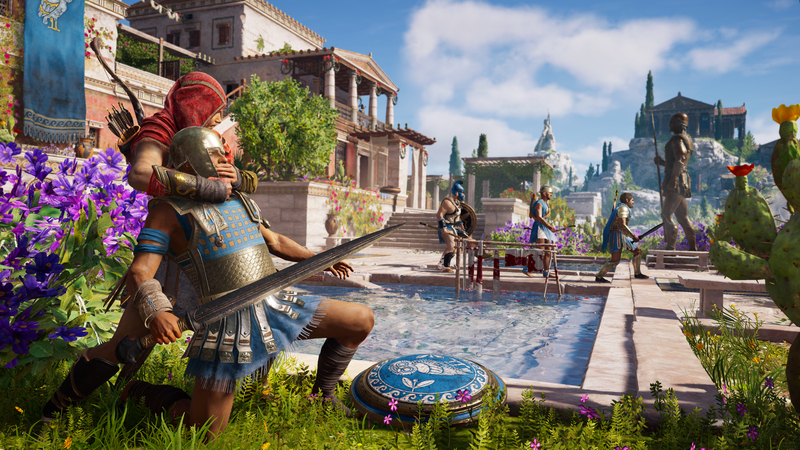 Thankfully, the team behind Assassin’s Creed Odyssey at Ubisoft Quebec aims to help this kind of content evolve and change how players interact with the world. Speaking with Game Informer, Odyssey’s Game Director, Scott Phillips, detailed the “buffet of things” players will be able to do during their down time. For instance, because the Peloponnesian War acts as a backdrop for Assassin’s Creed Odyssey’s story, the conflict between Sparta and Athens allows players to intervene. While the actions of Alexios or Kassandra can turn the tide of war, their behavior won’t be a push towards victory for either side. Player participation, at its core, is an effort to earn rewards. The world is a moving chessboard, with 28 city-states. Some are owned by Athens, some are owned by Sparta. We wanted you to be able to pick a side at any point, since you’re a mercenary in the game. Each nation, their resources, their power, their ability to wage war is shown to the player represented as a nation power gauge. The player will have in-game actions that they can perform that will weaken the state–killing soldiers, destroying their war supplies, stealing their national treasure and then ultimately killing their leader, which will make them the most vulnerable. Once the mission is complete, players collect their reward and move on. Interestingly, similar to Assassin’s Creed Revelations‘ den defense objectives, the nation-states may come under attack at a later time. Unlike den defense, players decide what’s worth their attention. Defending Athens may seem most fruitful at first, but the reward for defending Sparta may be more enticing the second time around. With decision-making, romance options, and RPG mechanics set to debut in this entry, Assassin’s Creed Odyssey is already offering something fresh for fans and newcomers. It’ll be interesting to see how the changes in side content contributes to these new additions. Assassin’s Creed Odyssey launches this fall on October 5, 2018.